We installed CertainTeed Landmark Roofing shingles, James Hardie Fiber Cement Siding, aluminum Soffit, Fascia and Gutters. Gutter Guards, new shutters and new window and door surrounds. We also installed 2 new windows on the garage for this homeowner in Frankfort. Doesn't it look great! Wow!!! what a transformation. We installed James Hardie Fiber Cement Siding, CertainTeed Landmark Pro shingles and aluminum Soffit, Fascia and Gutters on this house in Frankfort IL. Another job well done for the team at Stan's Roofing & Siding! With replacing the shingles surrounding the skylights with new shingles and an under-layer of ice shield, we protect the area from ice and water damage. I have a 1288 sq ft brick ranch with an attic crawl. I have water dripping in the kitchen ceiling after heavy rain. It looks like it's coming on the side of a recessed lighting fixture. I also have peeling paint at that site. Roof in need of repair but not replacement. I am looking to replace my entire roof, my siding, all of my first floor windows, and several gutters. In my basement ceiling I have ceiling tiles there and I have one tile that I have replaced twice because after a significant rain storm and I mean after the storm about 2 days later the ceiling tile becomes soaked and collapses on to the basement floor and I have tested this twice and replaced a ceiling time twice and that section of tile becomes soaked and falls to the floor my handyman guy tells me that it's my pvc stink pipe vent leaking down to my basement ceiling and soaks a tile that collapses. My handyman guy traced the place in my basement ceiling at the pvc pipe that seems to be leaking and his crude measurements put the source of the leak at a stink pipe vent. Above the ceiling tile there only is a pvc pipe about 4 inches or so and on the first floor above the pipe is my laundry room and the pipe is not very close to the utility sink that has never been used ever and my washing machine is a few feet further away from the unused utility sink and there is no signs of water on any of the drywall on either floor or ceiling. Replace old vinyl siding with Hardie board and aluminum fascia. Replace a double gargarge door and install opener and replace a single garage door. SFG all original to the house and needs to be replaced. Purchasing a home and it needs a new roof. Looking for a quote. Thanks. I have a variety of repairs required on my home. there's flashing issue which has allowed water to enter the garage, a damaged roof vent needs replacement, a number of downspouts need to be re-secured to the brick exterior of the home, the cedar fascia is rotting at a couple corners of the home where leaky gutters have resulted in the fascia becoming wet; probably a few of the gutter corners need to be re-sealed. There is a piece of aluminum that is coming off of one of the fascia boards on the roof line. I would like to have this repaired. I also have a gutter on that side of the house that makes a loud vibrating noise during strong winds, and would like somebody to take a look to see if that's repairable or just normal for the conditions. They did not fall short! I'd like to recognize Kevin and Eric. "I highly recommend your company. Scott was excellent!! 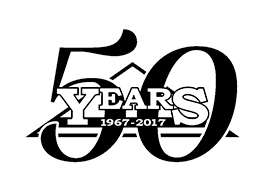 He..."
Stan's Roofing & Siding has served the residents of Frankfort since 1967 with a wide range of roofing and siding services. Our employees are professionally trained and capable of installing or repairing your roof or siding quickly and efficiently. I'm looking for a quote to replace the guttering and downspouts on our single family home. We have had the roof replaced earlier this year but have noticed that the gutters are leaking badly now. Feel free to drop by and do a walk around at any time if needed but I'm looking for an estimate pretty quickly as I'd like to get this done before the winter gets set in. Email is the best way to contact and provide me with the quote. Also let me know when you would be able to get the work done. My gutters are pitched wrong and flashing isn't flush. Wanted a free estimate on repairing flashing and gutters properly spaced to roof. There are gaps in between the siding planks and we have some of the planks that are cracked. We are deciding between repair and replacement of the siding. I have a small leak in my roof and 2 squirrel holes that I need to have repaired. I would like to have the holes repaired soon because the squirrels have been removed.